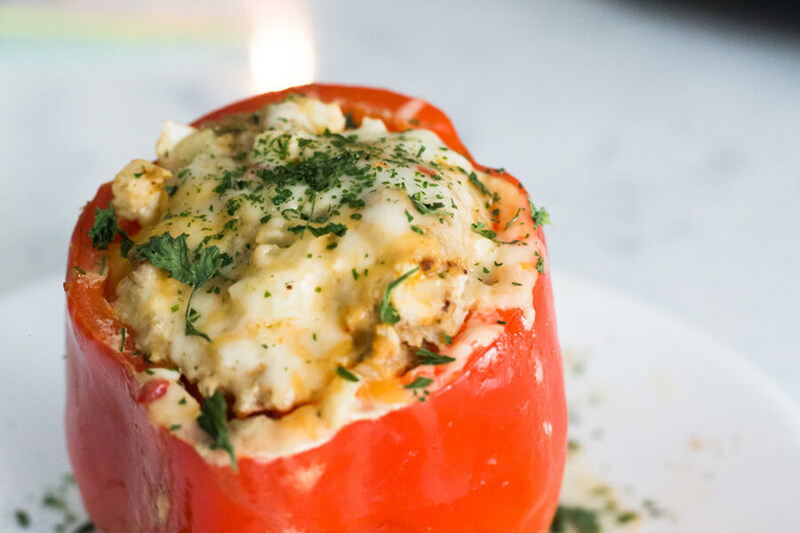 All the taste of a taco without the hassle of a wrap – it’s all stuffed inside a small pepper, cupping the delicious taste inside! The best part of this recipe is that it is very versatile. You can add any toppings you want including bacon, onions, and jalapenos. For the sake of this recipe I used minced turkey, cauliflower, cheese, and spices. 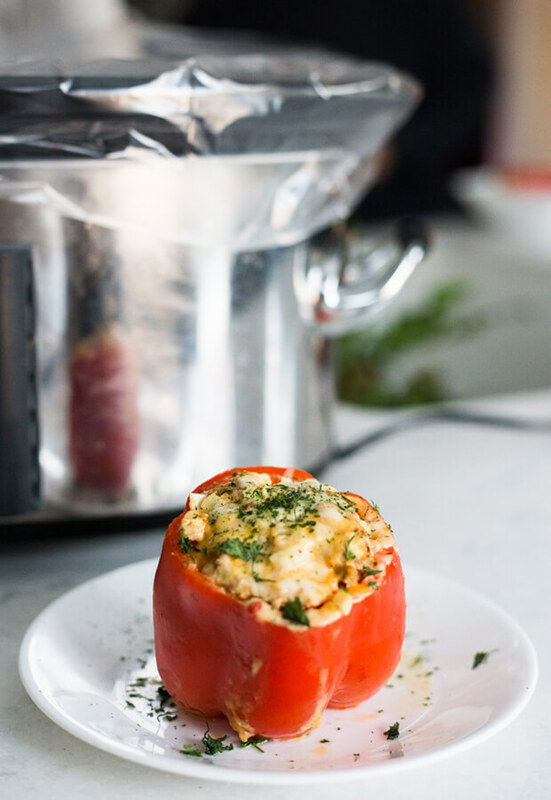 This recipe will give you six delicious stuffed peppers. They freeze great for those looking to save them for later in the week. 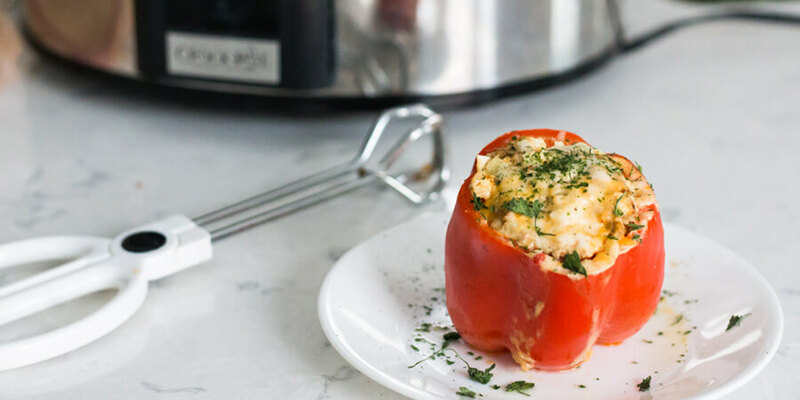 Plus, making them in the crockpot is good for those on the run in the morning and looking to save some cooking time after work. 1. 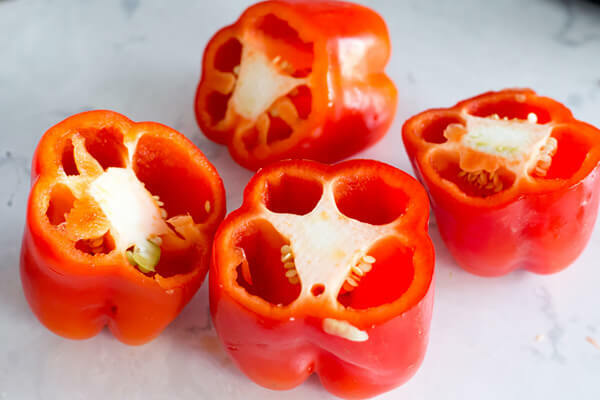 The first thing to do is cut off the stems on your peppers. 2. Scoop out the seeds on the inside, leaving a hollow shell. 3. 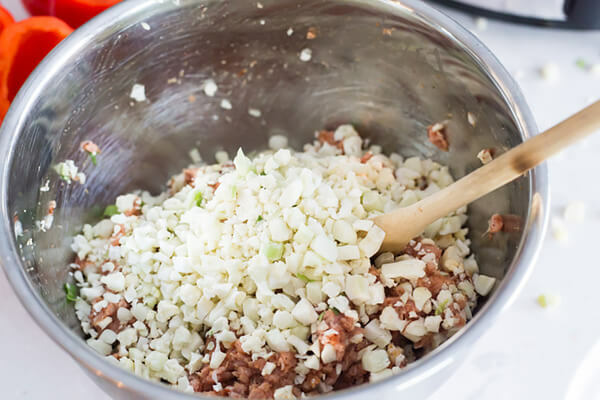 In a bowl, mix together your minced turkey and spices. 4. Stir in the cauliflower and olive oil. 5. Mix in the Monterey jack cheese. 6. Scoop up some of the turkey mixture and pack it into each pepper shell. 7. Place them into a crockpot and pour a cup of water into the bottom. 8. Cook on high for 4 hours or low for 8. Top with a little extra cheese 10 minutes before they are done. This makes a total of 6 servings of Crockpot Stuffed Taco Peppers. Each serving comes out to be 250 Calories, 15.8g Fats, 4.02g Net Carbs, and 22.19g Protein. 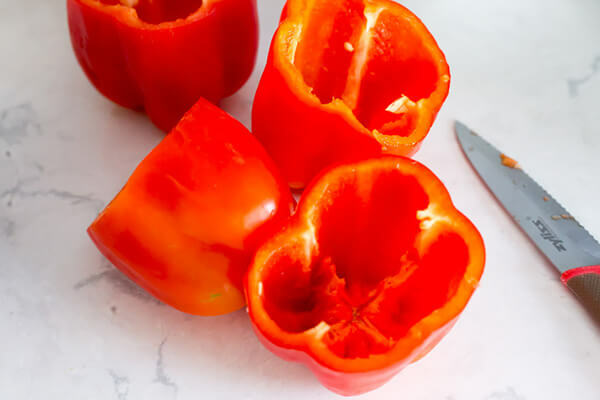 The first thing to do is cut off the stems on your peppers. Scoop out the seeds on the inside, leaving a hollow shell. 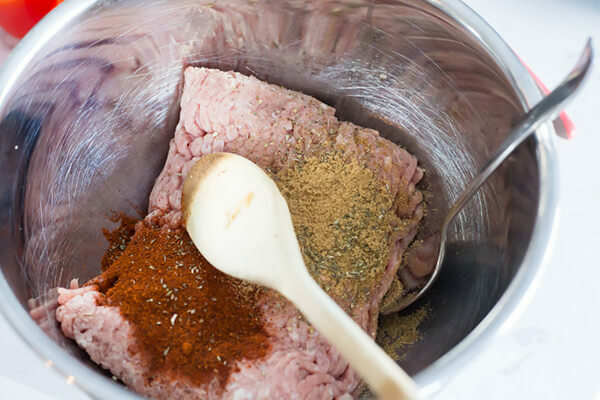 In a bowl, mix together your minced turkey and spices. Stir in the cauliflower and olive oil. Mix in the Monterey jack cheese. 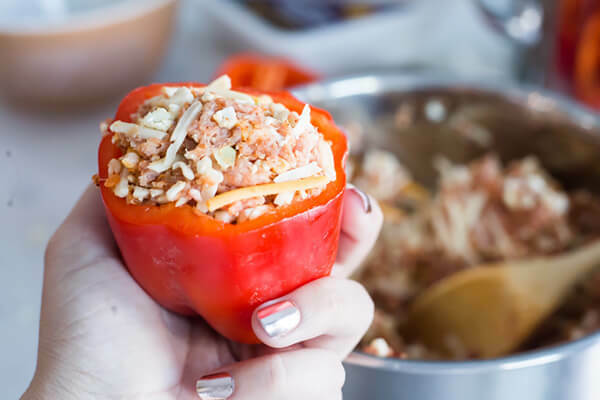 Scoop up some of the turkey mixture and pack it into each pepper shell. 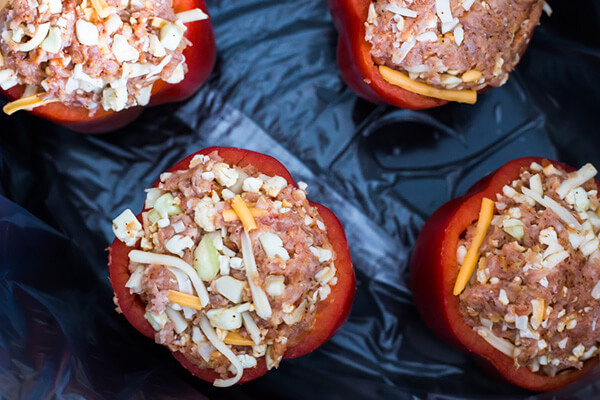 Place them into a crockpot and pour a cup of water into the bottom. Cook on high for 4 hours or low for 8. 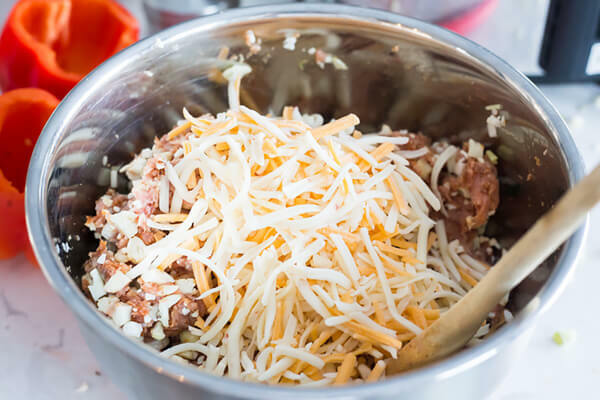 Top with a little extra cheese 10 minutes before they are done.